Ideal for spraying antimicrobial or flavoring solutions or onto food products such as Ready-To-Eat meats or cereals in commercial food manufacturing. 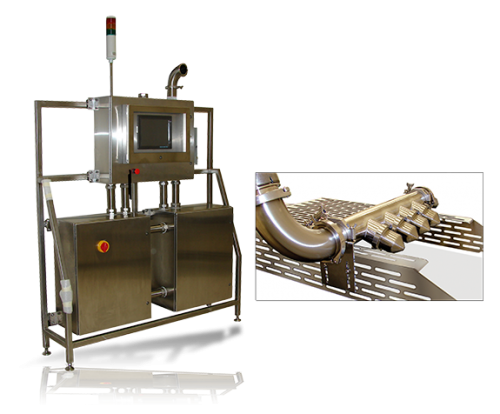 Sono-Tek ultrasonic food coating systems are used for applying thin films of: antimicrobial coatings, additive coatings such as flavorings or sweeteners, or nutriceuticals onto prepared foods. 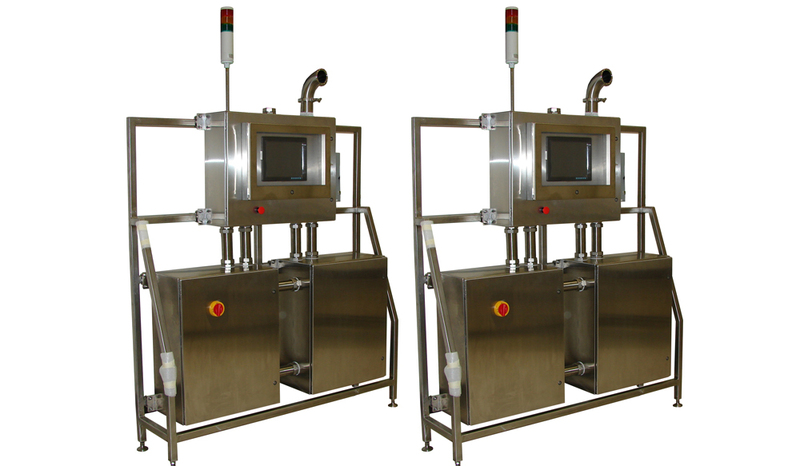 In applications where uniform coverage is needed to protect a product or controlled dosage of added ingredients is paramount, ultrasonic coating provides significant process benefits. 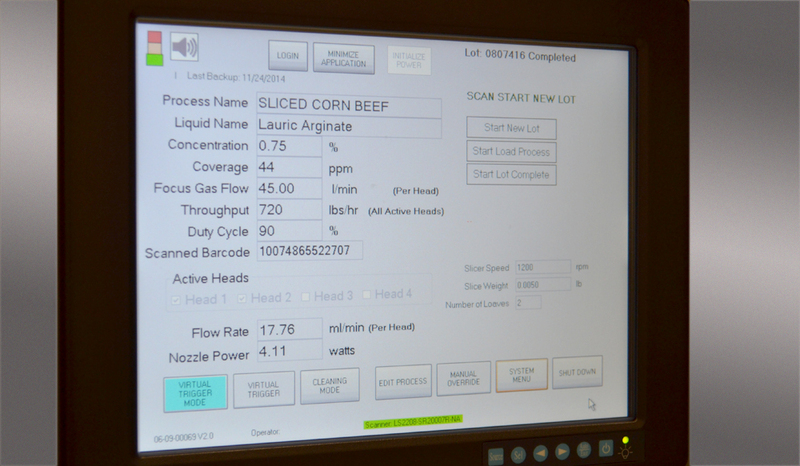 Ultrasonic spray makes it possible to add very thin layers of small amounts of additives onto prepared products prior to packaging. 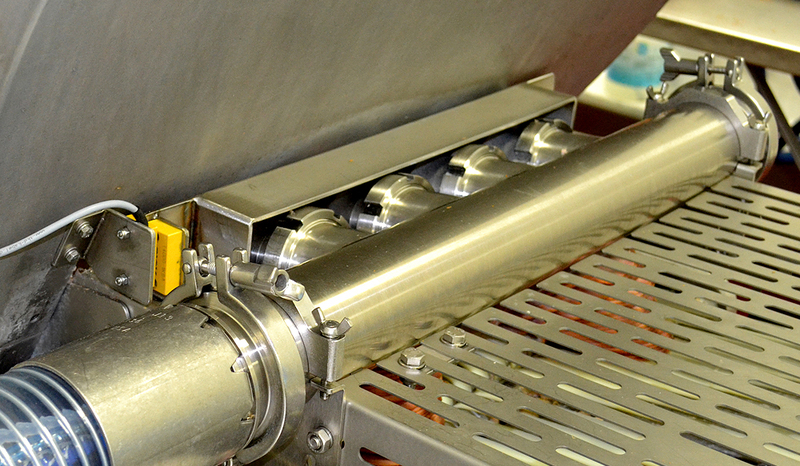 Sono-Tek ultrasonic coating systems are ideal for spraying small amounts of antimicrobial coatings onto ready-to-eat food products such as prepared sliced meats to enhance product safety and extend shelf life. Uniform nanolayer antimicrobial solutions enable manufacturers to deposit very thin micron coatings not possible with other deposition methods. 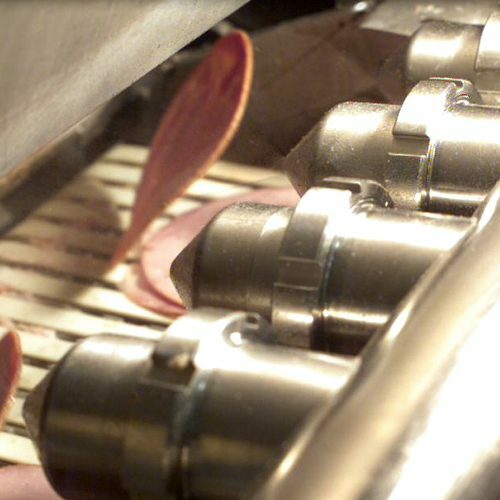 Sono-Tek systems are proven to provide 1-2 log reduction in processes where antimicrobial solutions are sprayed directly onto prepared meats during slicing operations, providing an economical alternative to high cost HPP. 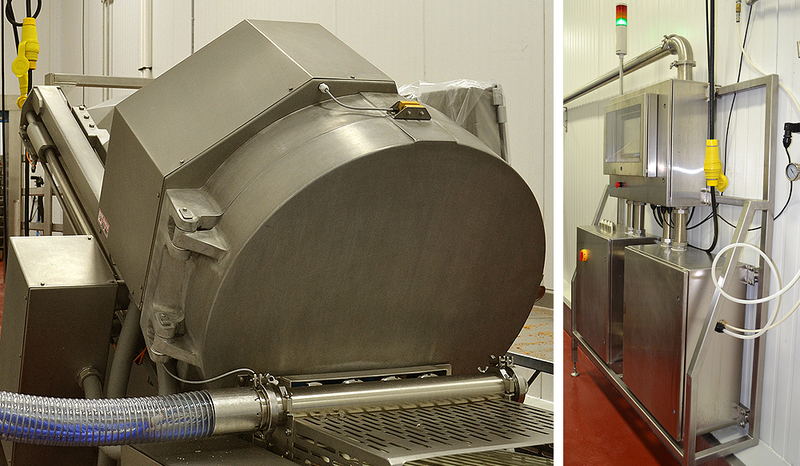 Benefits for food safety coatings come from the tight drop distribution of ultrasonic nozzles compared to pressure spray or other coating methods, which result in more even coverage with thinner layers of material. This is a major benefit to food manufacturers looking to control ingredient quantities in an effort to move toward clean labeling. Antimicrobials coatings onto sliced meats. Flavorings and sweeteners onto cereals and other dried goods. Nutriceutical coatings onto snacks such as granola bars. 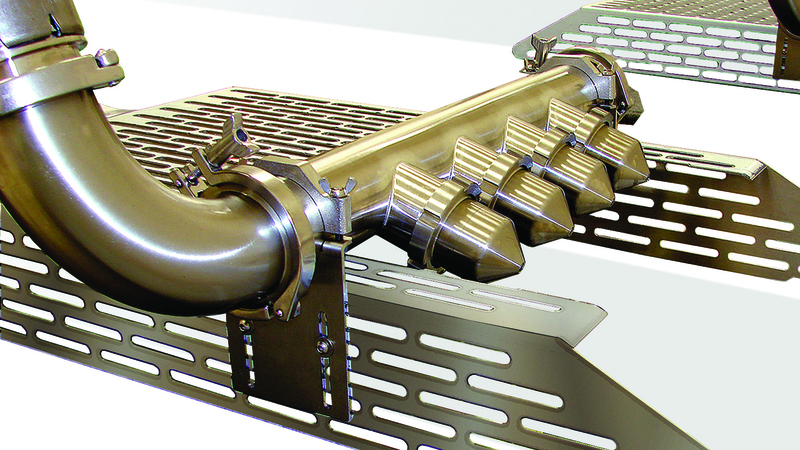 Light oil coatings preventing food products from sticking to substrates.